Manufacturer & Exporter of a wide range of products which include AC Motor such as Three Phase AC Motor, Electric AC Motor, Single Phase AC Motor, AC Flame Proof Motors, AC Torque Motors, Die Cast Motor and many more items. We are one of leading manufacturers and suppliers of a wide range of high quality Three Phase AC Motor is a technique to generate alternating current. Three phase motor is much economical than single phase motors because it uses less conductor material to transmit electric power. These are light in weight and works very fast without any trouble. 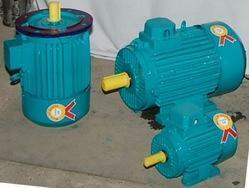 These motors are used by clients at wide range. We manufacture and export three phase ac motors to our clients at normal price. Terminal box located at right hand side of the drive end side and sealed against ingress of moisture. Frame size is 56 to 280 in 2, 4, 6, 8, 10, 12 pole design. 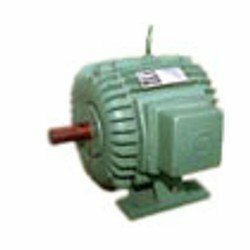 We are among the prominent manufacturers of a wide assortment of premium quality of Electric Ac Motor is an electromechanical device and it converts electrical energy into mechanical energy. 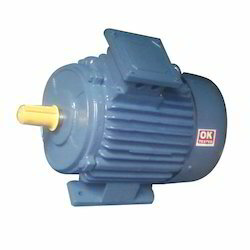 We manufacture and export electric ac motors to our clients at reasonable price. 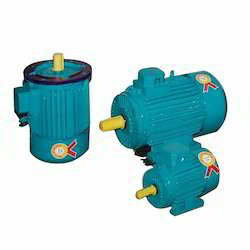 These motors are ISO certified motors and widely used by our clients. These electric motors are found in diverse industrial applications. 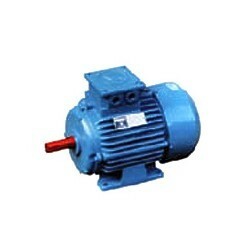 To meet the rising demands of our clients, we come with best quality AC Motor. Resistant to corrosion and abrasion, it is highly popular in the market. Accrediting to its low noise operation, longer functional life and perfect finish, the entire range of motors offered by us has heaped words of intense praise among our clients. We further ensure the utmost quality of the motors to be offered. Manufacturer & Exporter of a wide range of products which include AC Motor such as Indotech Three Phase AC Motor, Electric AC Motor, Single Phase AC Motor, AC Flame Proof Motors, AC Torque Motors, Die Cast Motor and many more items. 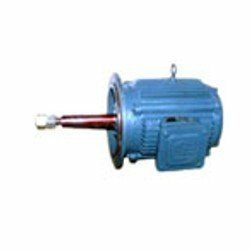 Manufacturer & Exporter of a wide range of products which include AC Motor such as Two Speed Three Phase AC Motor, Electric AC Motor, Single Phase AC Motor, AC Flame Proof Motors, AC Torque Motors, Die Cast Motor and many more items. 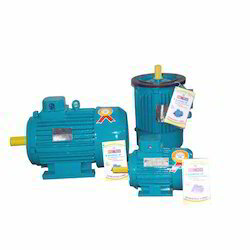 Enriched with a vast industry experience, we are capable of manufacturing and supplying a qualitative assortment of Single Phase AC Motor is light in weight and provides high output. This motor consumes less power and takes less maintenance. These are easily transported from one place to another. 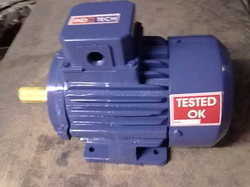 This single phase motor makes less noise and available easily in the market. We manufacture and export single phase AC Motors to our customers to our clients at wide range. Our company holds expertise in providing optimum quality AC Torque Motors to respectable clients. This range of AC torque motors is sourced from trusted vendors of the market. In addition to this, the offered range is available in different customized specifications and forms in accordance with the diverse demands of clients. These AC torque motors are checked on different characteristics to maintain its authenticity throughout the designing process. Due to the rich industrial experience, we have been able to offer high quality Die Cast Motor are fabricated from high grade quality materials and provides reliable performance. 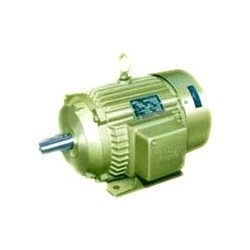 These motors are used in different industrial applications. We manufacture and export Die Cast Motors to our clients at competitive price. These motors are known for their features like efficient, accurate dimension and long life services.These motors are saves lots of time in doing the work and consume less power. We are a trusted name that is engaged in the business of manufacturing and supplying of Cooling Tower Motor that is widely used in various industries and specially suits in air conditioning and refrigeration industries. these are manufacture under the supervision of our experts which are known for its compact in design and less in weight that helps in facilitate easy maintenance. These cooling motors help in the better cooling of the motor which have a balanced on electronic dynamic balancing machine. We are offering a wide range of Loom Motor that essentially functions as a power saving and high efficiency machine, which are widely used in various textile industries. Our offered range of this machine has manufactured using suitable torques and other quality materials that ensures waterproof and helps in avoiding the damage from its moisture. 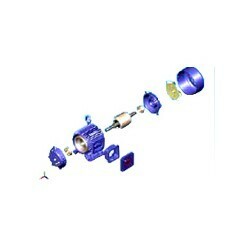 These are highly acknowledged for its efficient performance and smooth operation. Looking for AC Motor ?